The Federal Aviation Administration is behind schedule on its plans to develop airborne-identification rules for drones, potentially holding back construction and other industries from expanding their use of the technology, The Wall Street Journal reported. The agency is expected to require a combination of hardware and software similar to an "electronic license plate" that would allow law enforcement and national security officials to identify potentially hostile drones. The rules could reportedly come as late as 2022, three years after the agency’s first prediction. The industry is debating relying on sensors in drones, WSJ reported, or setting up a low-altitude traffic-control system — a costlier alternative that President Donald Trump’s administration may be reluctant to fund given its focus on deregulation. Meanwhile, rule changes to allow commercial drone use beyond the operator's line of sight, over the heads of people and in other applications may remain on hold until airborne-identification rules are in place. Drones are a still-emerging and fast-evolving technology, so it’s perhaps not surprising that federal regulations have been slow to respond. The FAA released its final small commercial drone rules in 2016, eliminating the need for companies to seek approval for each flight or to hire a licensed pilot. Per these requirements, drones must weigh less than 55 pounds, be equipped with anti-collision lights, fly below 400 feet and under 100 mph in daylight hours only. Although this is a drastic improvement compared to the ambiguous guidance that came before, operators still must get the FAA’s approval to fly at night and over most people, as well as keep the drone in their line of sight while in use. And with commercial drone use surging 239% in the past year, according to a DroneDeploy report, it’s even more important that federal guidance evolve to meet demand. The FAA could propose standard regulations for drone use over crowds and populated areas, such as urban construction sites, as soon as this month, WSJ reported, but experts speculate that identification rules will come first. “The pilot community questions whether a complex airborne identification system is more urgent than unlocking basic value by enabling overflight of people, flight beyond-line-of-sight, or night flying,” Dan Burton, CEO and founder of drone services provider DroneBase told Construction Dive. 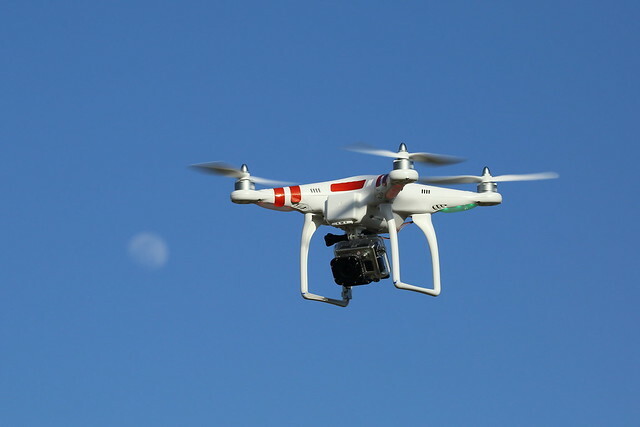 Although FAA priorities could use reshuffling, the agency’s rollout of the Low Altitude Authorization and Notification Capability (LAANC) has helped standardize and expand the use of drones in construction, he said.